The Show has begun and the Cat is finally out of her bag!! Is she Ferrari? No. Then, Lamborghini? Not either. 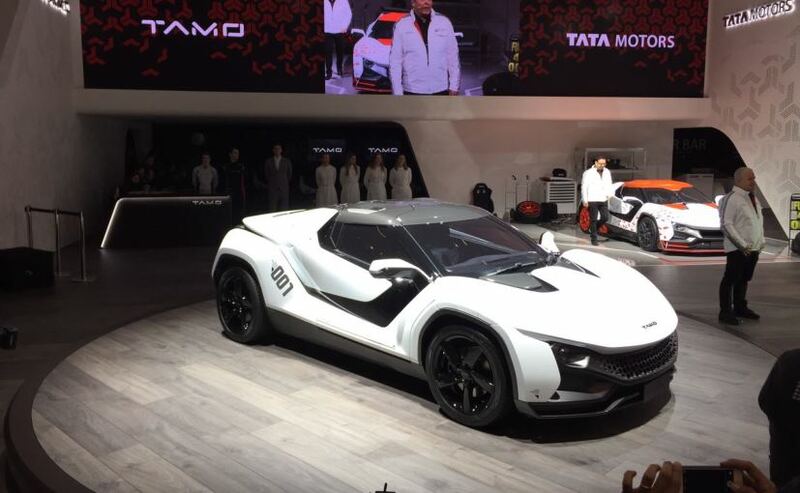 It’s Tata Motors presents TaMo RaceMo, the two-seater track-oriented super sportscar. Not a secret any more, the much awaited first ever sports car from the Tata Motor’s performance division, TaMo the RaceMo has been revealed at the ongoing 2017 Geneva Motor Show. The first product from the performance sub-division TaMo, the RaceMo has been marked the calendar to arrive in India this year. Designed at the Tata Motors’ studio in Turin, Italy, the RaceMo is inspired from the company’s latest Impact Design theory. The front fascia includes sleek Bi-LED headlights, dynamic bumper holding large air intakes and aggressive front profile. 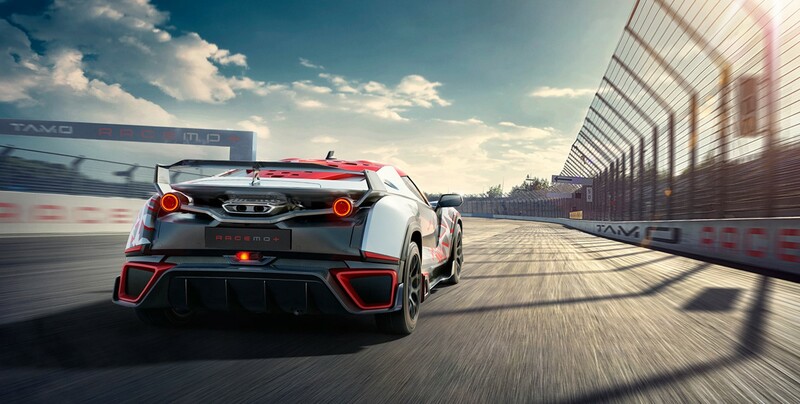 At the rear, the RaceMo is unmistakably a sports beast with centrally mounted distinct exhaust, LED taillamps, aggressive diffuser and the sloping roof which flows through the rear-end of the car. Besides this, the doors open in dihedral style. The two door RaceMo drives on dark blacked out alloy wheels. On the mechanical front, the mid-engine TaMo RaceMo is powered by a homegrown mid fitted turbocharged 1.2-litre Revotron engine that produces an impressive power of 190 hp at 6,500 rpm while the peak torque of 210 Nm comes out at 2,500 rpm. The the power is transmitted to the rear wheels via a 6-speed Automated Manual Transmission (AMT) with push button reverse and paddle shifters. The exhausted thrust help the car in attaining a 100 kmph of speed from a standstill within 6 seconds. 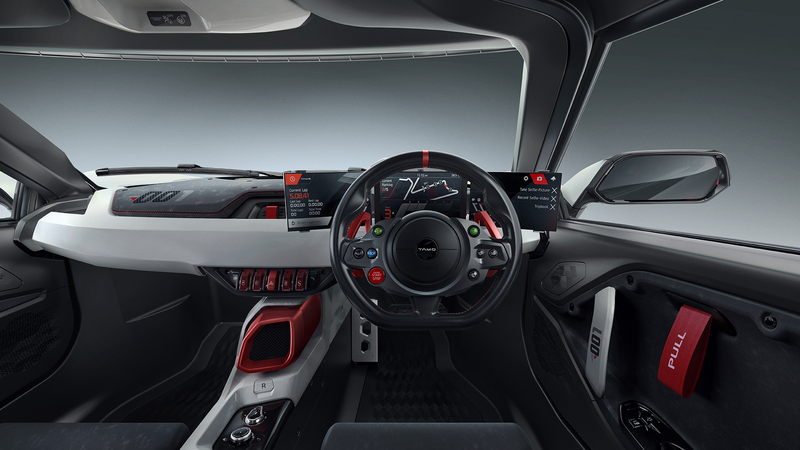 Inside, the RaceMo has a race car themed, simple and functional cabin with three large informative displays instead of the instrument cluster. Connected with Microsoft cloud-based technologies, the displays consist information like advanced navigation, predictive maintenance, remote monitoring and over-the-air updates. Just like a racing car, most of the controls are mounted on the steering wheel of the TaMo RaceMo.